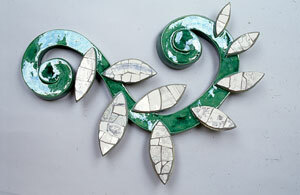 Mosaic work pieces Clay work spans a number of years. 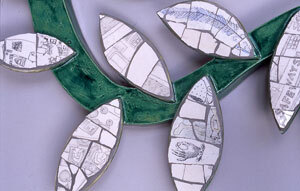 It began when a series of school commisions using mosaic started to influence and bring together the way of working in the studio with on site work. 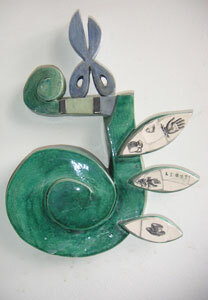 Symbolic imagery used includes, birds as the people encountered in day to day life and scissors as a personal symbol for creativity. 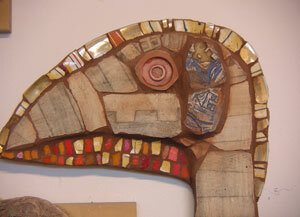 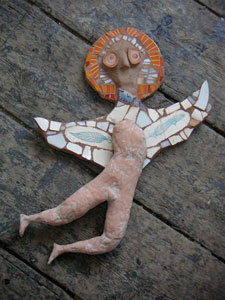 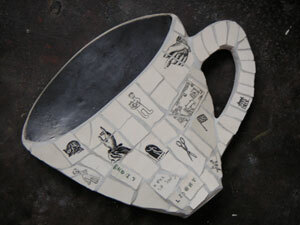 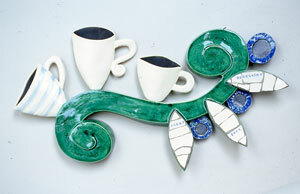 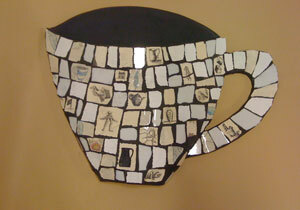 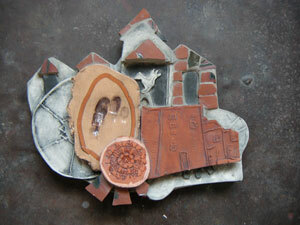 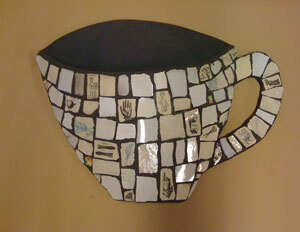 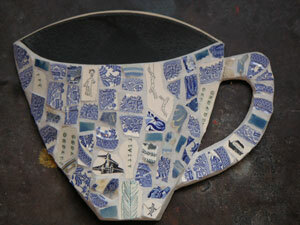 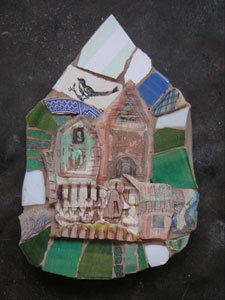 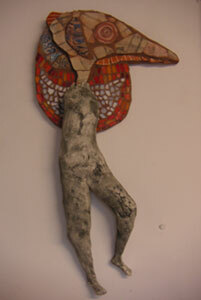 Combining clay work with mosaic continues as an additional material of choice. 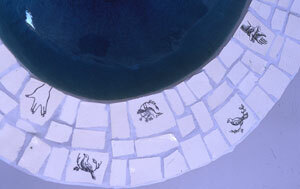 Recycled ,specially created ceramic mosaic tiles are a personal material of choice as an addiditional surface layer of texture.